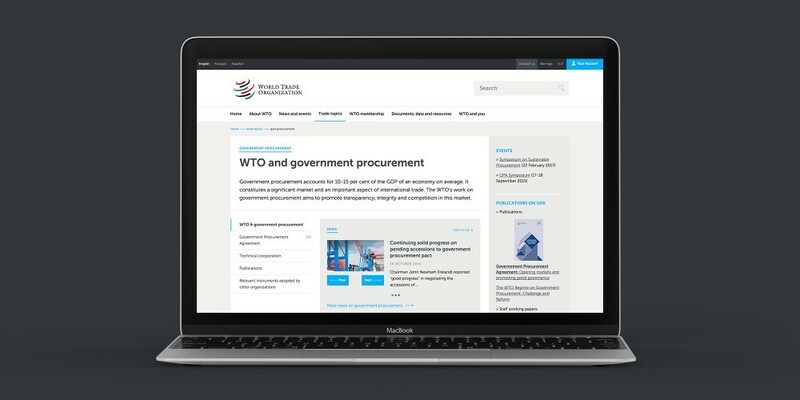 In May 2016 Optima bid for the redesign of the World Trade Organization website (WTO) as part of an international tender process. We were awarded the contract in July 2016. 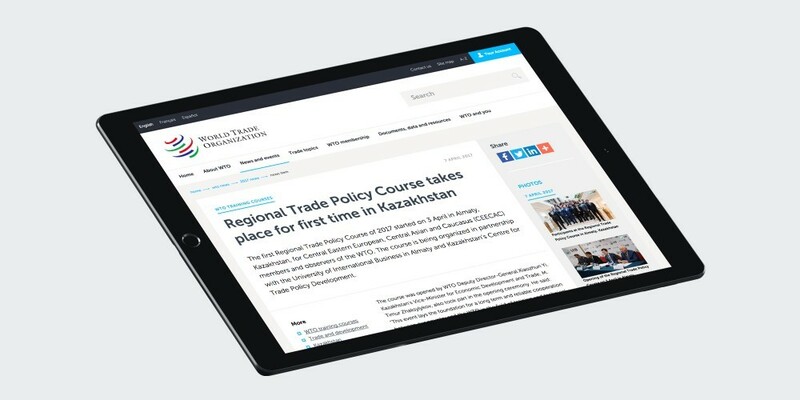 The WTO have developed a standalone site with no content management system over a number of years. Optima were charged with creating a new look for the site and making the site completely responsive. 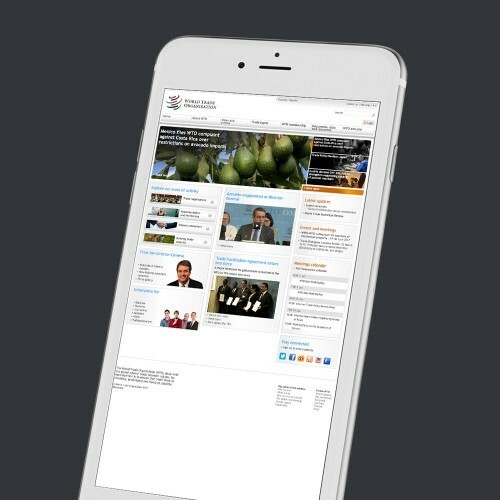 The information architecture of the WTO site was not to be amended and the responsive design was to be intelligently implemented without significant intervention on the HTML. Our team proposed three different designs from three different designers - a fact that was picked up on and of interest to the WTO team. 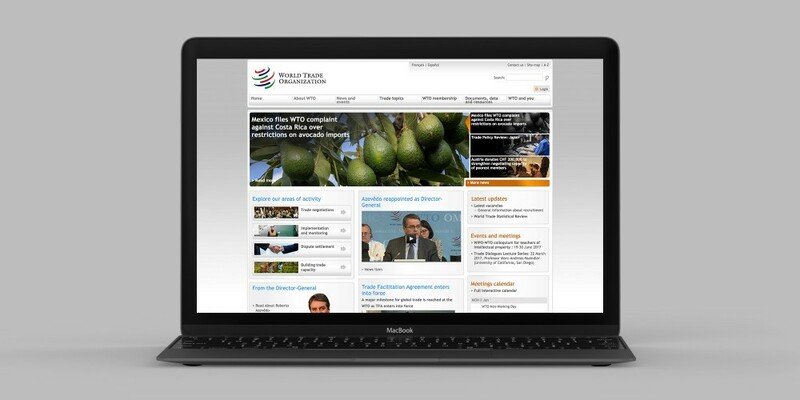 The WTO website is a multi-language site and it has over 37,000 individual pages. The chosen designs were developed into the final scheme. 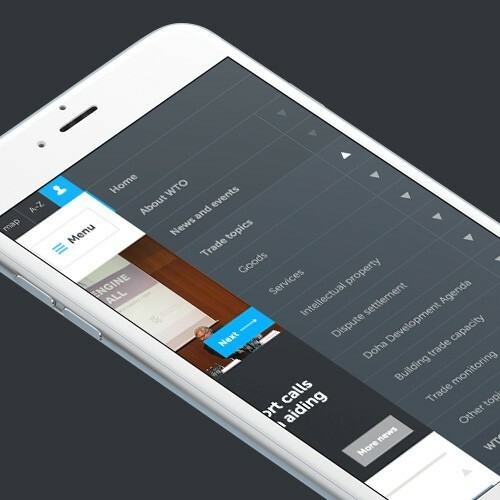 We have then created specific HTML5 code with CSS for each scenario required alongside style changes, font updates and licensing and image acquisition and purchase based on the correct usage rights. Optima have also introduced effective collaborative working practices with the WTO team and set up a dedicated server to host a snapshot of their site. This means we can apply design solutions and share the code so the WTO can thoroughly test all the designs and coding we are creating and at the appropriate time switch the design over. Optima have been extremely responsive and professional from the outset of the project. 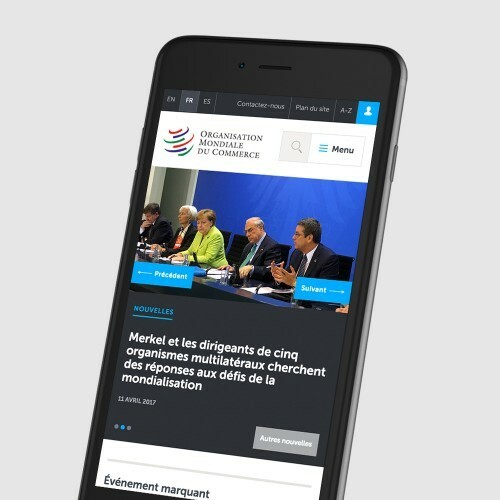 They have provided high quality design concepts and innovative technical solutions to modernize the WTO website. Optima’s approach is unusual in that they combine design talent and technical expertise within the same individuals, which greatly simplifies communication and project management. I wholeheartedly recommend working with Optima. We have carried out user testing throughout the process including eye tracking and have worked closely with the WTO team through Basecamp, visits, and key presentations including to Director General Roberto Azevêdo in January. The project will be supported by Optima for a further six months post launch to assist the client with any alterations or issues that arise. The feedback on all levels to our designs has been very positive and we look forward to working more with the WTO team.